With a traditional bitter west of Scotland January weather starting to set in I was time to finish off an Islay bargain. Bowmore distillery is on the Isle of Islay at coast in the village of Bowmore. It was the first distillery on the island being founded in 1779. As with so many distilleries production was halted during World War II and interestingly used as a command centre for the RAF Coastal Command. Planes used for anti-submarines missions were launched from the loch and the local airport was originally an RAF base. The airport as seen today was built in 1940 and was home to 1400 personnel at its peak. This history lesson though is for another day and possibly another blog. The Bowmore distillery still contains a floor malting although the majority of the malt used for distilling comes from Simpson’s in Berwick upon Tweed. The heat recovery system that has been in use for a number of years is also the heat source for the island swimming pool located next door and to heat buildings on site. Today, Bowmore is owned by Beam Suntory who also own Laphroaig, Auchentoshan and Glengarloch. The whisky maker for the group is Rachel Barrie and the manager of the Bowmore distillery is David Turner. 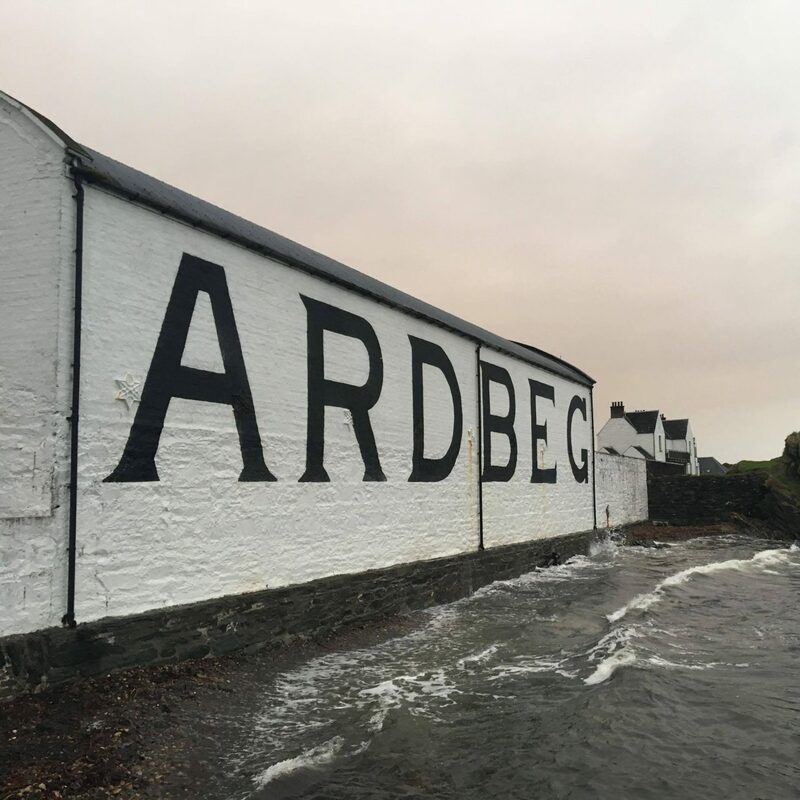 Previous managers have included Jim McEwan who left to be a director and manager at Bruichladdich distillery on the western end of the Island before retiring in 2015. I have been to Islay a number of times but I have yet to tour the distillery but it is definitely on my list. A distillery tour is really something very special if perhaps not for the actual tour. I find all the tours are generally the same idea and if you have seen one you have seen them all. However, to try a whisky directly from the cask from a warehouse in site with like minded people? That is something very special indeed. The Small Batch whisky is the opening entry in the core Bowmore modern lineup. It is a No Age Statement release but the bottle does tell us the whisky is a mixture of first and second fill ex Bourbon barrels. The 40% ABV offering will contain colouring and it will be chill filtered. This is one of those whiskies you will pick up easily in a supermarket on offer for £25 but the regular RRP is £35. Bowmore whiskies that I have tried always seem to disappoint me. I think a lot of the problem is the thin and water down feeling to this one. The wood influence is there but it does feel young and disjointed. Perhaps I need to move on to something with an age statement and higher strength.